Conference organizer - TMS Brokers has prepared outstanding agenda where Andrea Unger, 4-time winner of the World Cup Trading Championship, and Krzysztof Piróg - a trader with a dow to earth vision of the investing, were the main guest speakers. 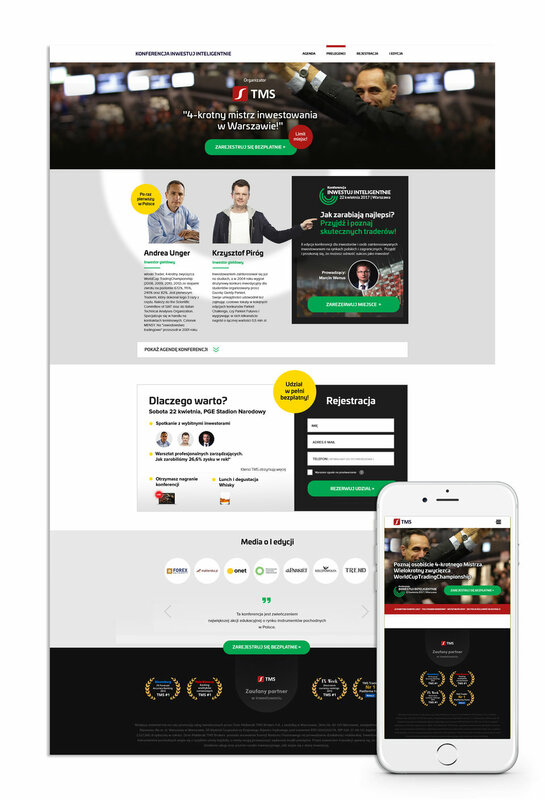 Direktpoint was responsible for creating an online platform which enables to register for the event, as well as designing creative adverts to promote the event, both for online and offline media. Money likes silence but this action should be loud! Landing page with information and registration form of the event. Banners designed for the website of TMS Brokers. 3 specific lines of banners were created to promote the event. More digital formats designed to introduce the conference.